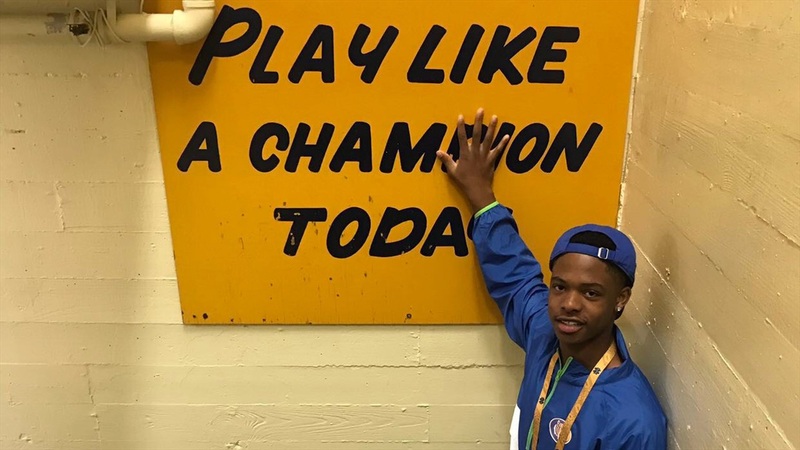 Jermaine Hamilton-Jordan‍ was paying attention to everything, but the 2021 Missouri linebacker was paying extra attention to a certain Notre Dame running back during the Irish’s Blue-Gold Game on Saturday. The 6-foot-1, 195-pound Hamilton-Jordan enjoyed his entire trip to South Bend. “I really liked it,” he said. “I just liked the people and the atmosphere. Everything was great. The Lincoln College Prep standout didn’t get a ton of one-on-one time with the coaching staff, but there should be time for the in the future. He’s looking forward to the opportunity to prove what he can do. Hamilton-Jordan doesn’t have any offers yet, but is receiving interest from several schools and will be checking out some of the schools in the near future.